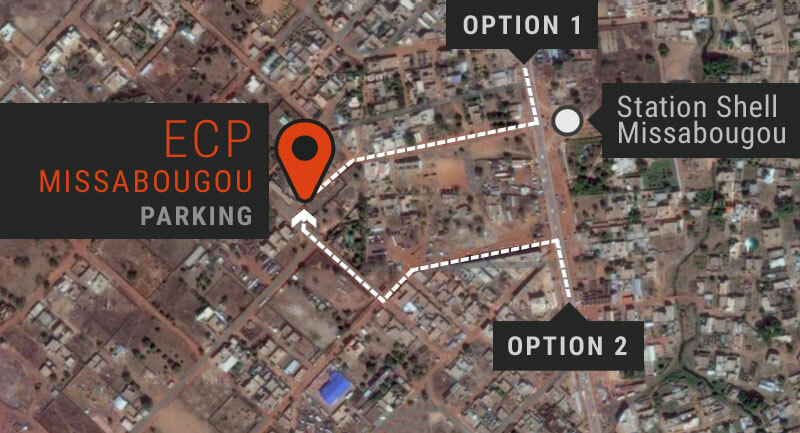 Kani Sidibé, Ousmane Ouattara and Ko Saba live at the Blues Faso at the Fondation Passerelle – ECP Missabougou starting October 2018. His parents were originally from San, members of the Bwas ethnicity, and had migrated to Mopti, the border region between northern and southern Mali. Koko Dembélé grew up at a time when cultural diversity, which was represented by the country different ethnic groups and all their beliefs, was an asset and the source of a beautiful and powerful energy. Koko’s father was a balafonist who played traditional music. Having grown up in an environment made of music, of sharing and diversity, Koko was later on sent to live in Badiangara with a friend of the family, Mr. Acougnon Dolo. One of the two schools of the region was located there and it was important for Dembélé’s dad that his son could read and write. During college years, while a long illness prevented him from going to school, Koko Dembélé took up playing the guitar – one he had manufactured himself. A talented self-taught guitarist was born. He was spotted by Sorry Bamba, conductor of LE KANAGA DE MOPTI and began his career as a professional musician in 1974 in his orchestra, which became a national orchestra after winning the first prize of the artistic biennale of Mali three times in a row, in 1978, 1980 and 1982. 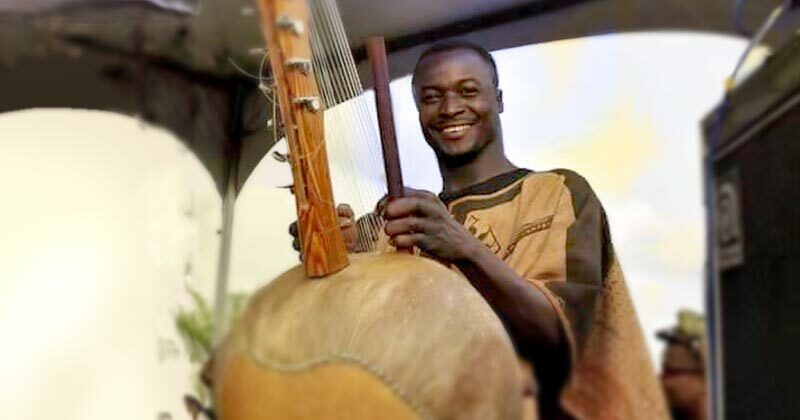 In 1984, ten years after joining the orchestra, Koko Dembélé made his first trip to Europe to perform with LE KANAGA DE MOPTI at the Musiques Métisses Festival in Angoulême, France. 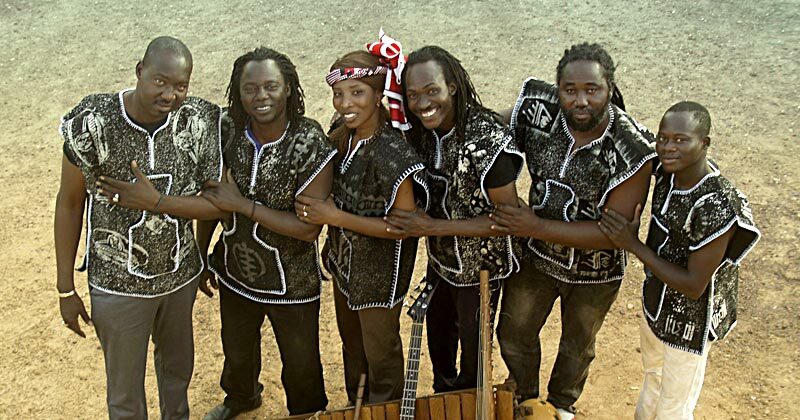 Despite being one of the most important music ensemble in Africa, the musicians found themselves in the need to abandon the mythical orchestra and look for other opportunities, as the Ministry of Culture of Mali was unable to honour its financial commitment to support the band. They were torn apart between the necessity of living and their artistic ambition. It was in these conditions that Koko Dembélé moved to Ivory Coast. The city was an important music hub in West Africa, with recording studios, record companies, producers and arrangers and lots of career opportunities. In Abidjan, with the support of Bongana Maïga and Mafila Kanté among others, Koko produced his first album, BAGUINÉ, “homeland” in Dogon, which was released in 1992. 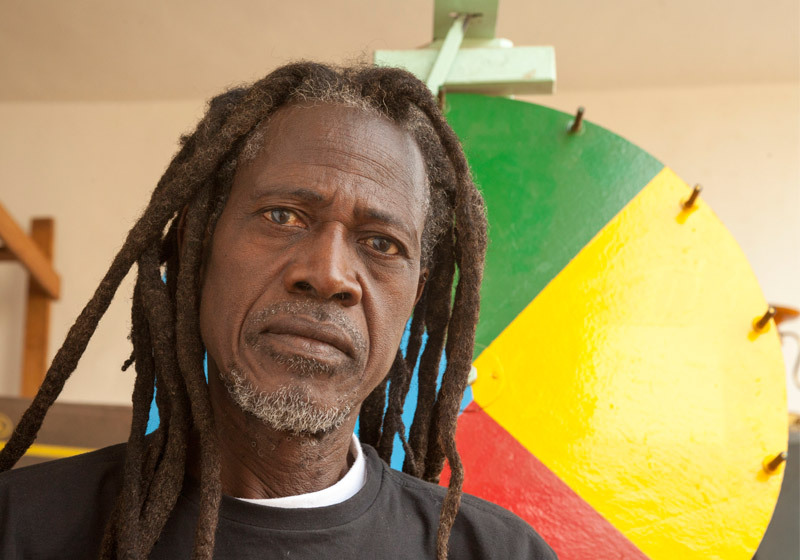 His music has a reggae colour with unexpected intonations thanks to his ability to sing in several languages and his multicultural identity, allowing him to draw inspiration from several musical traditions from Mali. Like most music lovers in the 60’s-70’s and educated people in general, the artist says that he listens to many different styles of music: French songs, rock, African music… But reggae and the Rastafari movement, with its aim to build a fair society against oppression and alienation, appeared to have the biggest impact on Koko Dembélé. This teaching was for him like a light guiding his musical work to where he wanted to be, as a musician and as a human being. Koko Dembélé lived between Mali and Ivory Coast after the release of his first album. He recorded his second album before flying to Brazil for a series of concerts organised by OLODUM. In September 2002 the release of his third album YEREDON, “dignity” in Bambara, collapsed because of the beginning of a major political crisis in Ivory Coast. In 2005 Koko Dembélé returned to Mali where he released his fourth album, entitled MANDÉ, recorded in the studios of Tiken Jah Fakoly in Bamako. TIÉBA, “big man” in bambara, is his fifth album, released at the end of October 2017. While staying truthful to reggae music, he embarks us on a journey in the heart of the rich Malian musical culture that he has mastered from San to Mopti. Enhanced by his talent as a singer and a guitarist, Koko’s music is strong and engaging, without artifice. Nagniny Diabaté is one of the greatest interpreters of Mandinka classical songs. She can be called a griot, an easy definition which is used today to name the people who have Niamakalas (1) family names and who sing at wedding and other celebrations. Nagniny is and does that, amongst other things. However, this fabulous artist does not come from a family of griots. If the griot is a “poet and storyteller who sings”, this does not apply to the Niamakala family of Nagniny. In the house of Bourahima Diabaté in Bozola, one of the first districts of the city of Bamako, nobody sung, it was forbidden. The only musician in the family, Nagniny began singing at school. At the time, indeed, singing competitions were organised between schools and neighbourhoods. Then came a moment when Nagniny started singing at wedding parties. 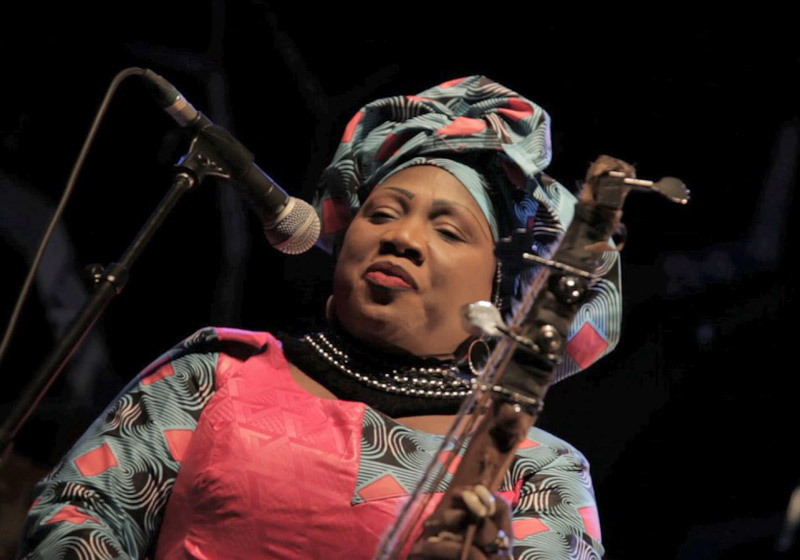 The daughter of a Guinean mother who had arrived with her family in Mali at a young age, and a Bamakois father, it was Nagniny’s maternal grandmother who supported her musical talent and teached her classical Mandinka songs from Guinea. Her first album was released in 1987. Her big hit was ORTM, a song dedicated to the annual event of the national television channel in which Miss ORTM is elected, an equivalent of Miss Mali. Nagniny Diabaté soon afterwards became a brilliant star among the young moussos djélis (2) and she was idolised in the country. Her career led her to perform all over Africa, Europe and North America. Her first performance on a European stage took place in 1986 as part of the Avignon festival, on the initiative of artistic director Michel Boudon. 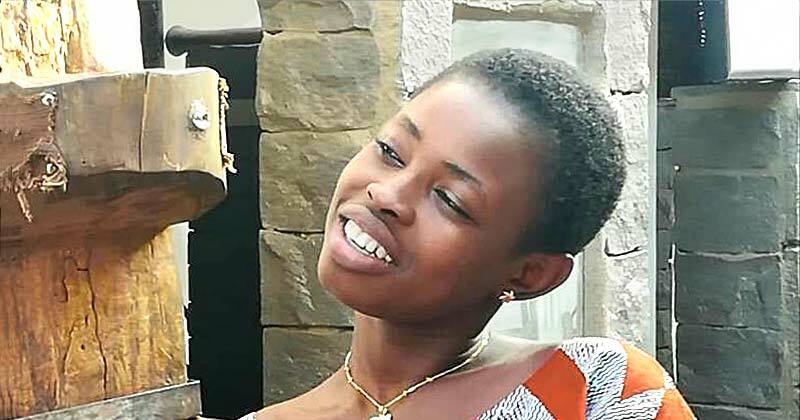 At the height of her brilliant career as djéli mousso, supported by rich patrons in Mali and Africa, loved by her audience, Nagniny decided to shift to a new project and create an orchestra of acoustic instruments, with female instrumentalists and singers. The KALADJOULA BAND was set up in 2012. The all-female orchestra conducted by Nagniny herself playing the bolon (3) began to perform in 2013. The band consists of guitar, balafon, calabash, keyboard, djémbé and doundounba (4). They perform classical Mandinka songs as well as original texts and melodies. For most of these women, learning to play an instrument was a real challenge, an outrage to conservative minds who want to keep some bans on women in the name of protecting them, or rather for the idea of what it is to be a woman in some traditions of the country. Their beautiful music is imbued with all their determination, magnificently supported by the great Nagniny Diabaté, not only on stage from an artistic point of view but also in practice, allowing the very existence of this musical group. In the past, it was an honour for the Niamakalas to fully assume their assigned role in a complex social organisation, made up of codes and bans, rights and duties for everyone. Depending on the region and ethnic group, the Niamakalas were craftsmen, providing everything that one could need for everyday life. They were also the guardians of oral texts and those who watched out for their correct interpretation and application to keep the society develop in a safe and well adjusted way. “Griot” may be the European understanding of the role of some Niamakalas when they discovered West Africa, but it reduces the social organisation to a simple definition given by the ex-colonisers in their dictionaries. Looking for the meaning of the word griot, which is not from any African language, we come across meanings such as: “in Africa, person who tells myths and sing stories”, or “poet and musician originally from Black Africa”. Nagniny Diabaté, her history and her career demonstrate that the definition and the role of the Niamakalas in Mali are not so easy to describe. Moreover, the social organisation in West-Africa changed violently during colonial years, and naturally with time it has kept evolving after the 60’s. in West Africa, family of caste to whom specific works were assigned, and who had the duty to transmit their skills from generation to generation. the Djelis, as a caste, depending on the region and ethnic group, generally were assigned to perform music and sing ; djéli mousso means djéli woman. farmers, fishermen and tradesmen, people who did not get involved in music, social/talks or crafts but who had, through very strict and precise rules, a duty to provide for the Niamakalas because of their role in society.